Electrocardiograms (EKG/ECG) and pediatric stationary bicycle and treadmill stress testing with and without additional cardiopulmonary and metabolic testing. Learn more about electrocardiograms. Holter monitoring and cardiac event recording that can be used to track an irregular heartbeat over the course of 24 hours or longer. Learn more about electrocardiogram monitors. 2D and 3D real-time resting, stress and sedated echocardiograms. Learn more about echocardiograms. Transesophageal echocardiograms that allow for a unique view of the heart and its structures from inside the esophagus. Learn more about transesophageal echocardiogram. 1.5T and 3T cardiac MRI with advanced 3D post processing. Learn more about MRI. Ultrafast (flash) CT angiography with advanced 3D post processing. Learn more about CT.
Fetal echocardiograms and prenatal cardiac diagnosis. Digital low-dose X-ray and fluoroscopy imaging. Learn more about chest X-rays. Cardiac catheterization performed in our state-of-the-art cardiac catheterization laboratories. Learn more about cardiac catheterization. Electrophysiological studies to assess and treat irregular heartbeats. 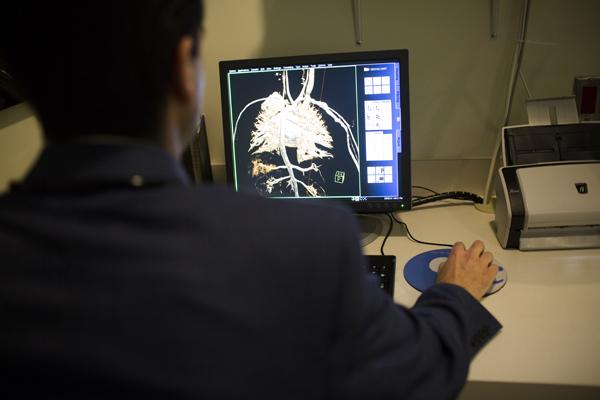 Learn more about electrophysiology. Pulmonary function testing offered in our Pulmonary Function Lab by specially trained registered respiratory therapists. Learn more about pulmonary function tests. Blood tests to evaluate for illness and heart problems. Learn more about blood tests. We offer low-dose X-ray and fluoroscopy specially calibrated for our young patients. 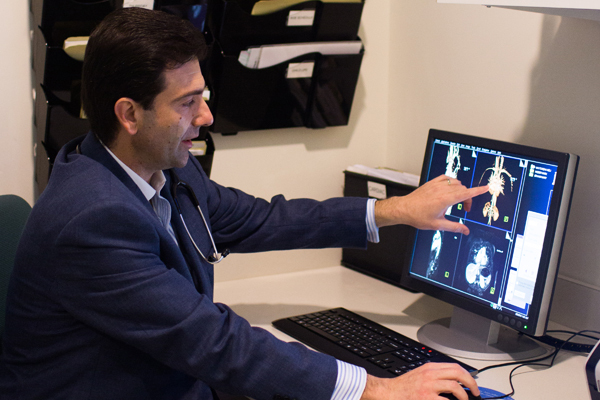 We are the only hospital in Orange County to provide pediatric 3D CT and MRI heart imaging for diagnosing complex heart problems and planning for surgery. Our flash CT scan machine produces detailed images of the smallest vessels—even in infants—in a matter of seconds while using a very lose dose of radiation. This machine allows our technologists to customize the scan according to a child’s size and symptoms while protecting dose-sensitive organs. Learn more about our Radiology Department.